Rudder and thruster in one. Rudder propeller can steer in any direction of 360°above the water level. Provide all-around thrust. 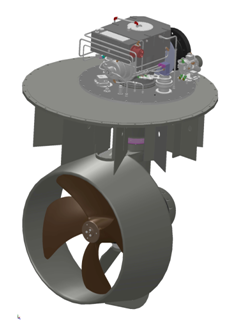 Increase the operation flexibility of the vessel. Generally，the Sf of propulsion device meets the classification navigation specification. It should between 0.33-0.67 if Ice grade requested. 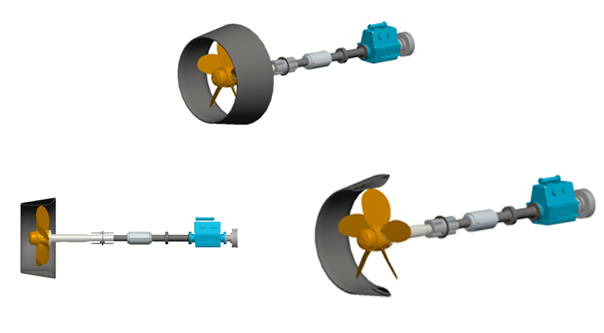 For the propulsion selection with special installation requests should be determined by SJMATEK.